Welcome to Fursbreck Pottery in Harray, a treasure trove of stunning hand crafted pottery made here in the magical Orkney Islands. Owned and run by Andrew Appleby, the pottery is a must stop on the craft trail for all ages; guests to the island and locals with demonstrations and lessons being offered to those with an interest in the process of how items are made. Located in Harray the pottery is also close to the nearby Standing Stones of Stenness, and the Ring and Ness of Brodgar as well as Skara Brae. Inspired by Orkney's rich archaeological history, Andrew takes great pride in crafting the highest quality pottery that reflect his Neolithic interests, and are unique and distinctive in design. There is a wide range of pottery collections available for purchase in the workshop and online at very reasonable prices. In addition to the pottery, Andrew is also a keen writer having published his first novel 'Skara' earlier this year. These along with the upcoming novels will also be available to purchase in the pottery. 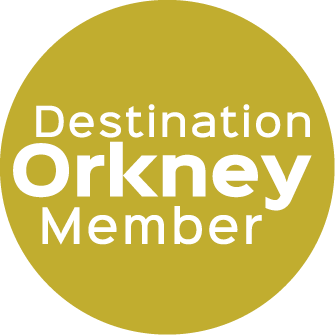 Andrew and his family look forward to welcoming you to Orkney and to the Fursbreck Pottery!